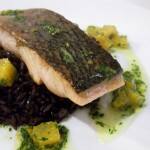 I totally love salmon, and lately I started appreciating it cooked. 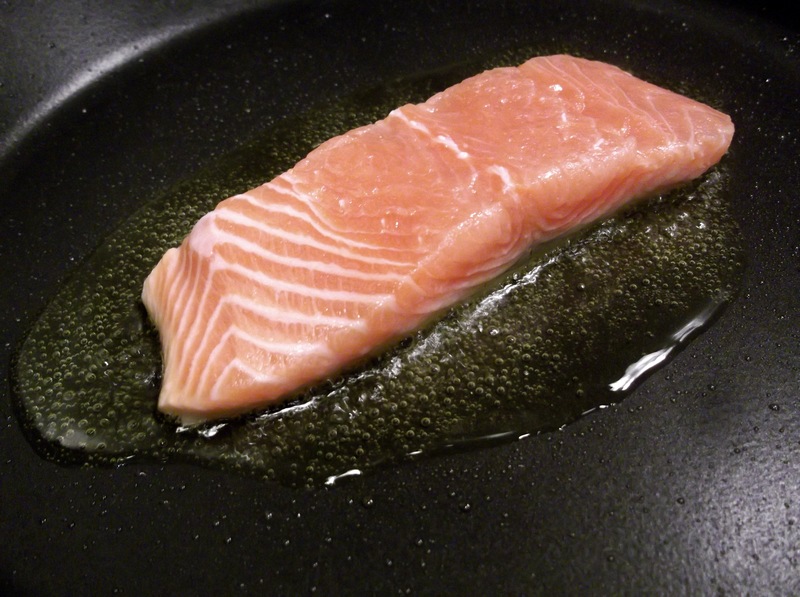 I used to believe that cooked salmon would totally loose that beautiful oily texture and taste. And then I discovered that I was the one that didn’t really know how to cook it. Then culinary college (read my story as a culinary student here) happened and I learned a lot more about fish and seafood. I also discovered what the whole big thing was behind the crispy skin and it became a whole new big deal for me too. A life changer! My college organised a workshop dedicated to salmon in June. A representative from Huon Salmon explained everything about their salmon and the various products. It was really interesting to discover how a salmon farm works. 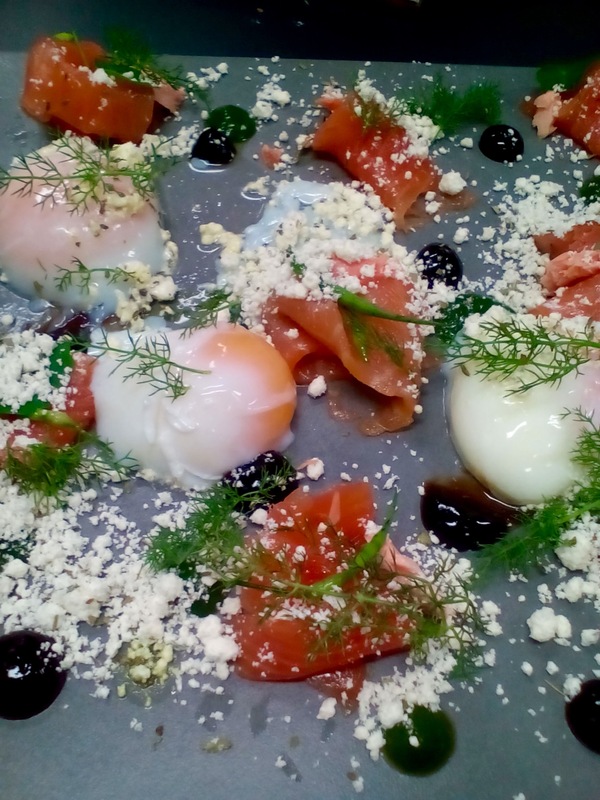 After the workshop, Chef Paul and his students had a chance to show their creations using salmon. Here are some photos. 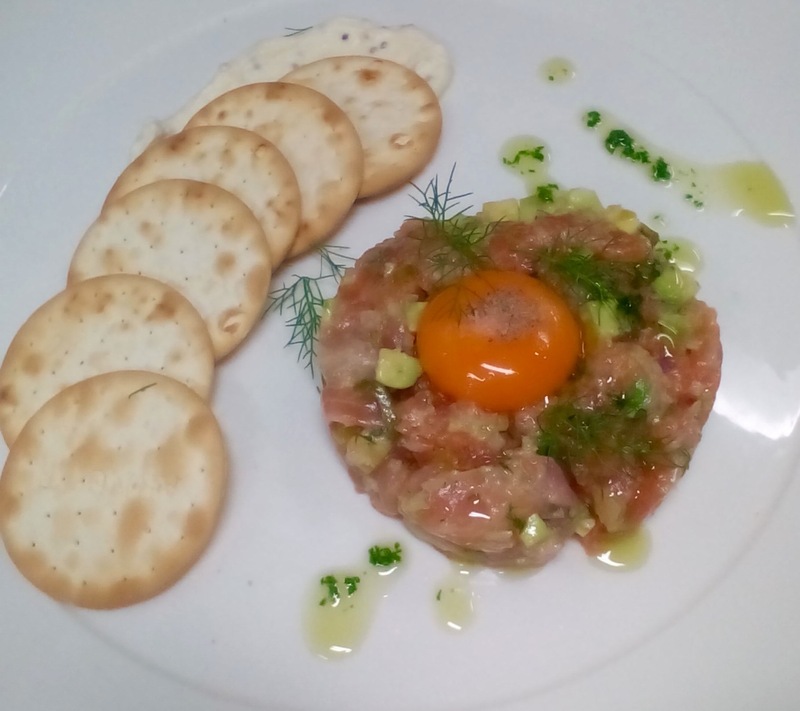 Salmon Tartare – this one in particular was so amazing. The fact that this student used all the scrapes from the bones/head of a salmon and the offcuts. This amazing dish was put together by using all the flesh that most of us including me waste. And lately at work I have been trained on grill section where all the proteins are cooked. An I had the opportunity to be mentored by experienced chefs. This blog gives me the opportunity to share some of the professional tips and tricks that anyone at home can use to prepare their meals. Make sure the pan is really hot and the oil is smoking. 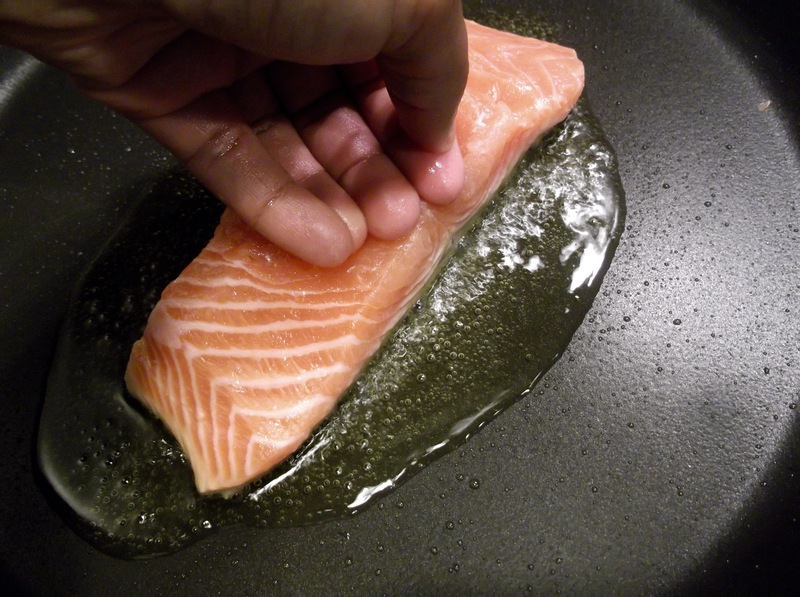 Once you place the salmon in the pan make sure to use a spatula to hold it down. 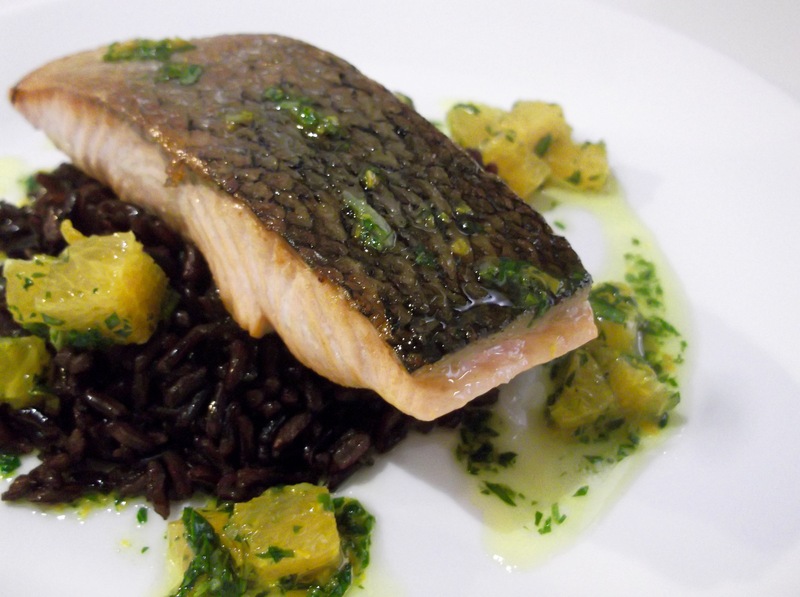 Salmon fillet is flesh so it is normal reaction to curl up when in contact with high heat. Holding it down give it the shape and makes it cook evenly. If you love butter, once you flip your salmon (crispy skin side up), add a table spoon of butter and once the it starts to foam up, spoon it over the salmon to finish it off. 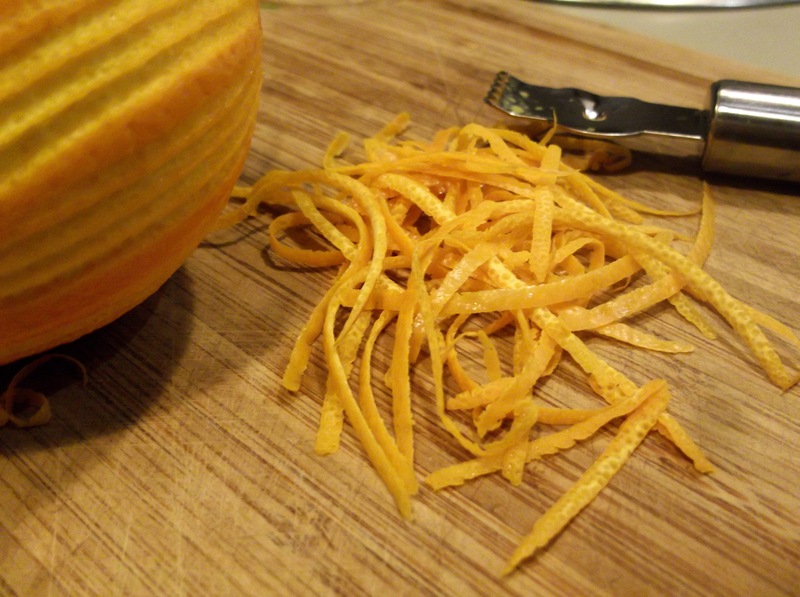 It was my first time to make an orange gremolata and trust me it turned out to be the perfect combination for this dish. 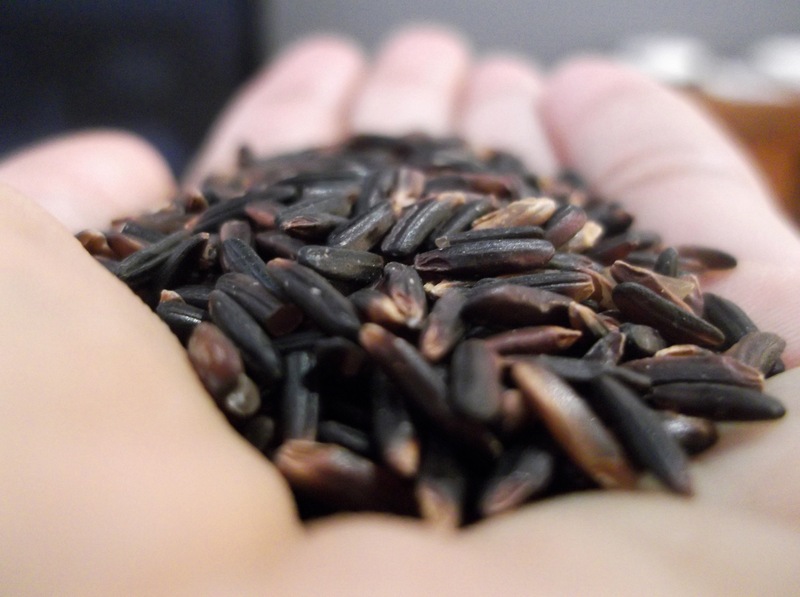 Boil the black rice in a pot with water and salt for about 15 minutes. 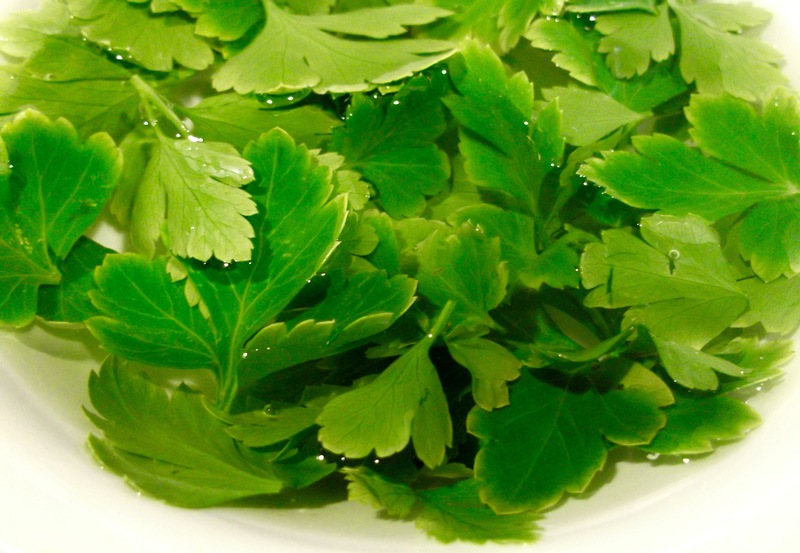 Prepare all ingredients for the gremolata and mix them together. Drain the rice. 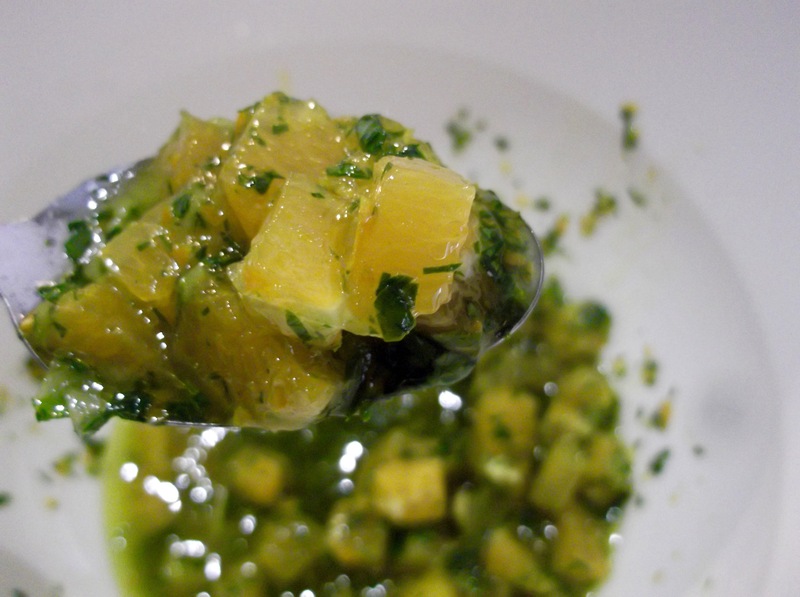 Add some olive oil and mix it through. Heat a pan with olive oil. Rub the skin with salt and place in the hot pan. Press it with a spatula to relax the flesh. Lower the heat and let it cook slowly, rendering the fat and making the skin crispy. Use the spatula to lift the fillet and check if the skin has crisped up. If the skin is crispy flip it over and let it quick for 1-2 minutes depending on the size of the fillet and how you like it cooked. 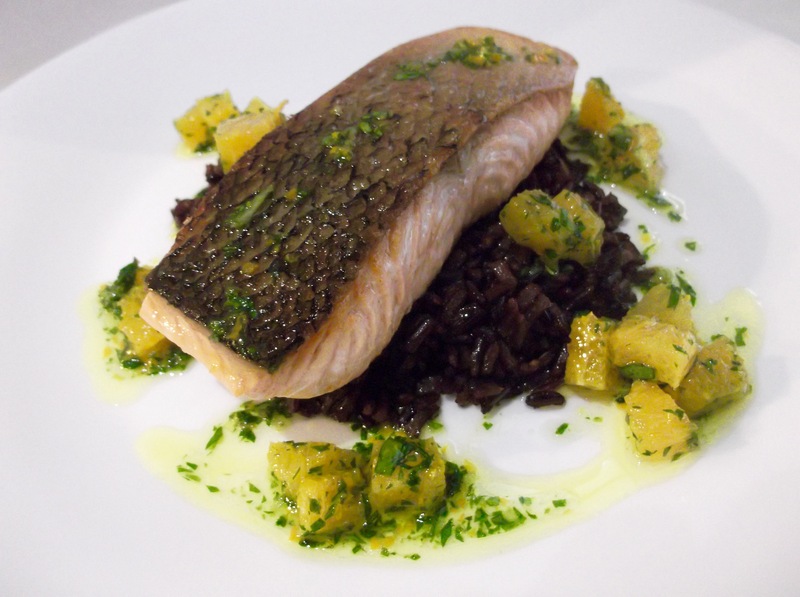 Serve it and enjoy it with the rice and gremolata. Welcome to Yum Goggle! We are now following you on all social media and hope you will do the same. We will try to tag you each time we promote your posts on up to 14 social media platforms. Kelli from YG!